A reissue of the legendary Casino which debuted in 1961 and boasted the sound that most associate with The Beatles. 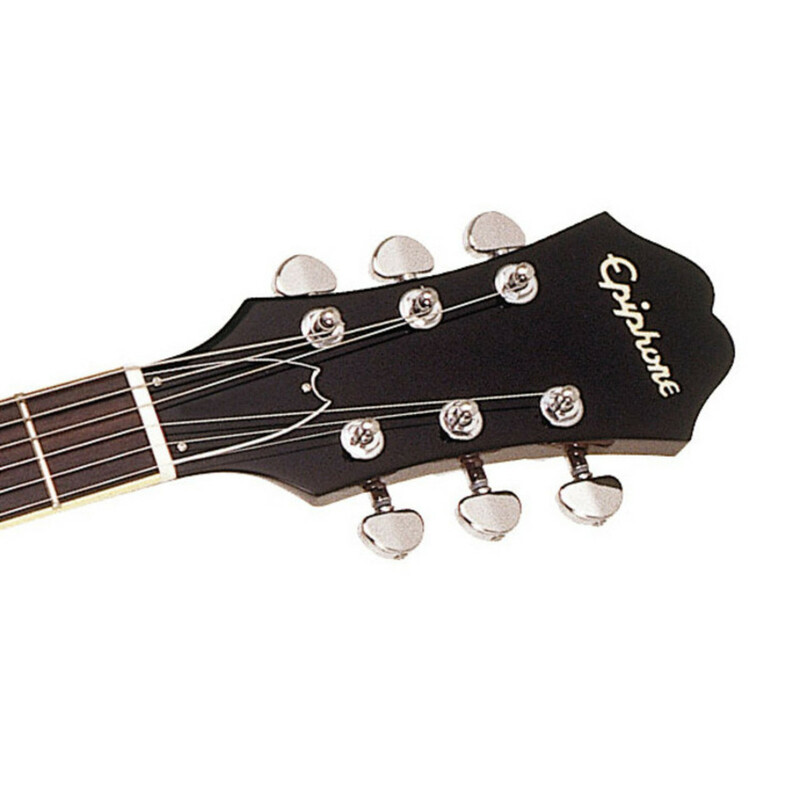 This Made In Japan reissue from Epiphone boasts 2 P90 USA Single-Coil pickups. 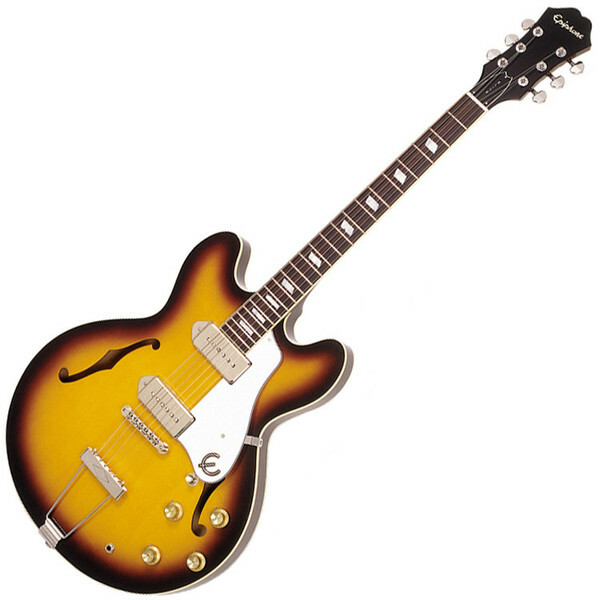 This guitar is a made in Japan reissue of the legendary Casino which debuted in 1961, with USA P-90 pickups that gave it an iconic sound that is mostly associated with The Beatles. This guitar has a 5-ply maple top, back and sides, nickel hardware, USA electronics and Grover machine heads. This semi-hollowbody guitar features a Rosewood fingerboard, a Tune-O-Matic bridge and D-Shaped neck with a set-neck joint. 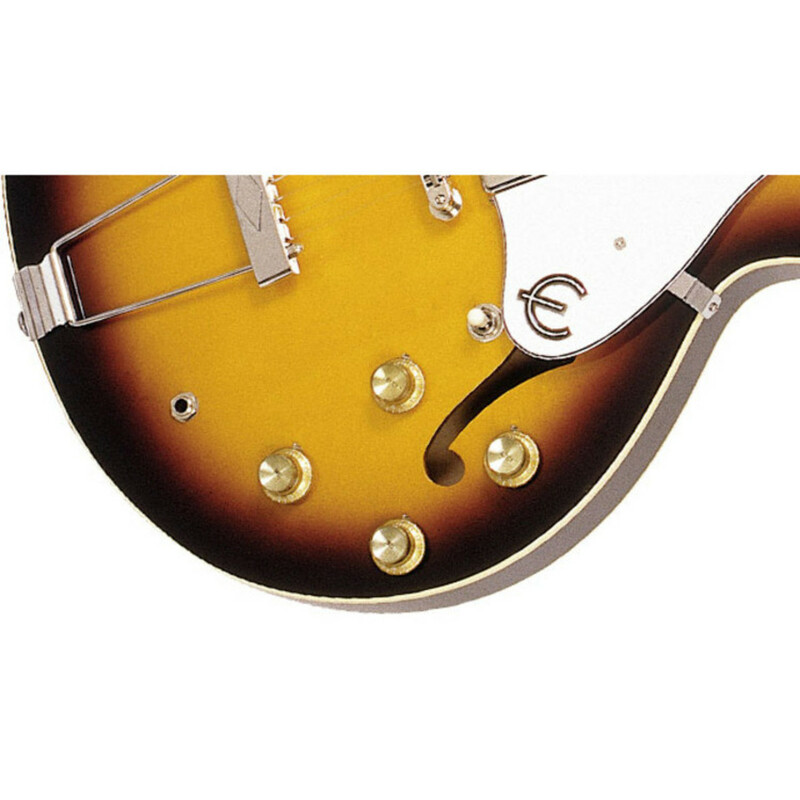 Of course, you'll notice that this guitar features a nice Vintage Sunburst finish.